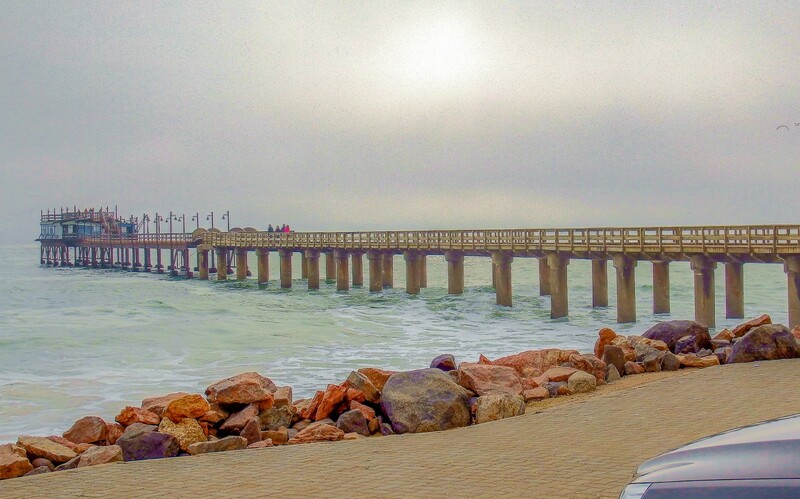 During the colonial period Swakopmund was an important harbour even though the conditions were not suitable at all. Luderitz was too far south and Walvis Bay was occupied by the British. 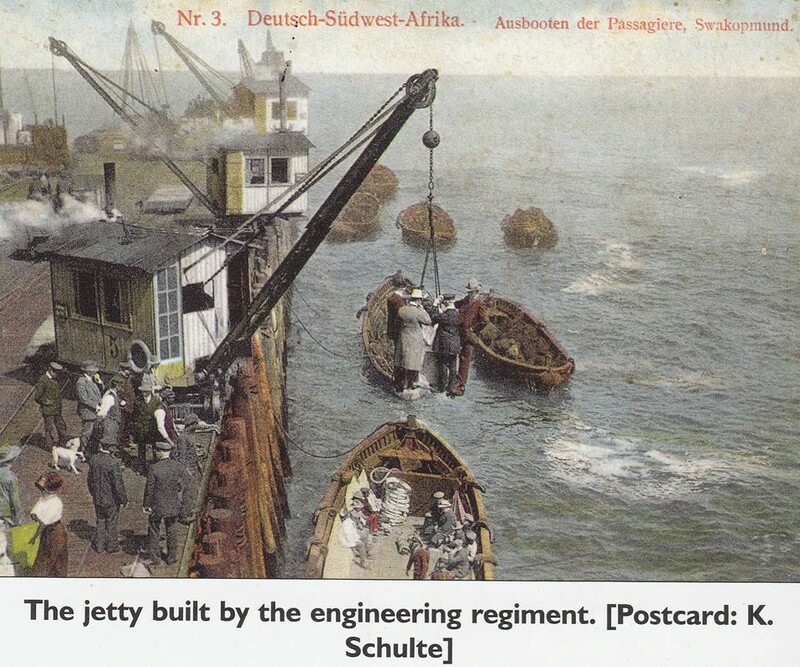 Accordingly the germans were forced to use Swakopmund. Disembarkation of troops and settlers by surf boats was, however, a life threatening undertaking as the surf was very strong. After the outbreak of the Herero rebellion in January 1904, it quickly became apparent that there was not enough anchoring space for the numerous ships supplying the civilian commodities and military logistics to the new German colony. At some stages up to 25 ships anchored in the open sea at Swakopmund and it took weeks for them to be unloaded. ln October 1904 the Zweiten Eisenbahn Baukompanie‘ (“Second Railway Construction Company), an engineering unit, arrived from Germany to start with the building of the wharf. This was replaced by an iron one in 1912, a joint venture by the companies Flander A.G., Benroth and Grun & Bilfinger. 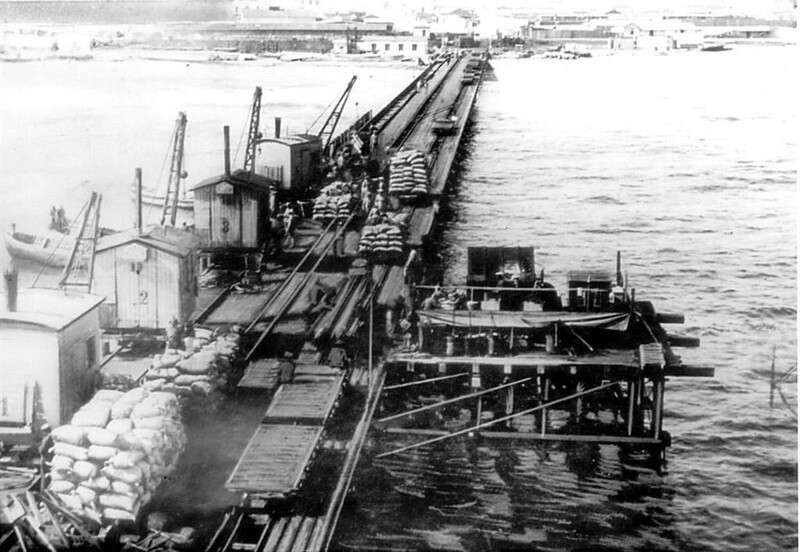 (jetty1905.com) This was to be 640 metres long and equipped with two 5 ton and two 3 ton cranes, as well as a railway line. 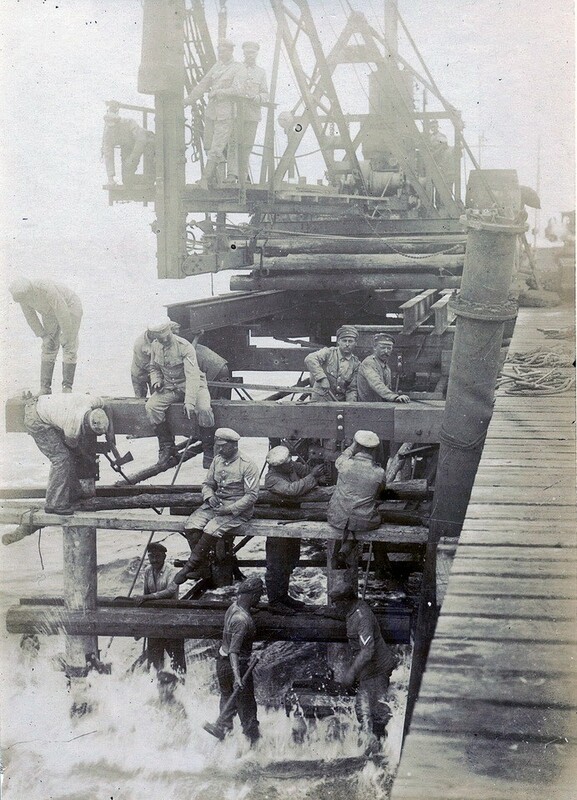 A third of the pier was completed by 1914 when the First World War put a stop to further construction. During this time the complete supply of the colony was handled via Swakopmund. After the war there was no further maritime need and in 1919 the northern end was covered by planks for pedestrians and anglers. Two drill heads used for drilling into the sea bed during construction can be seen at the entrance to the jetty. 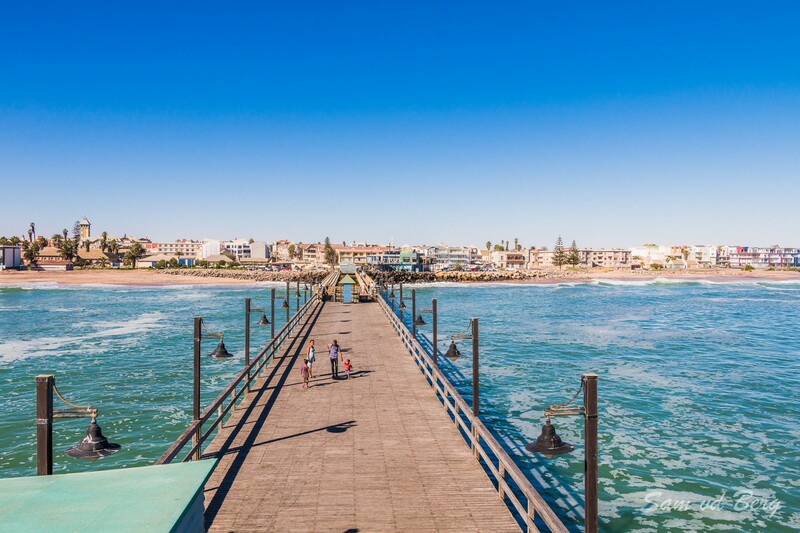 During 1986 renovation work was undertaken to save the jetty, at this stage a very popular attraction for locals and tourists. Most of the funds for the work were donations by the public. In 2003 it required further work and it was closed to the public. 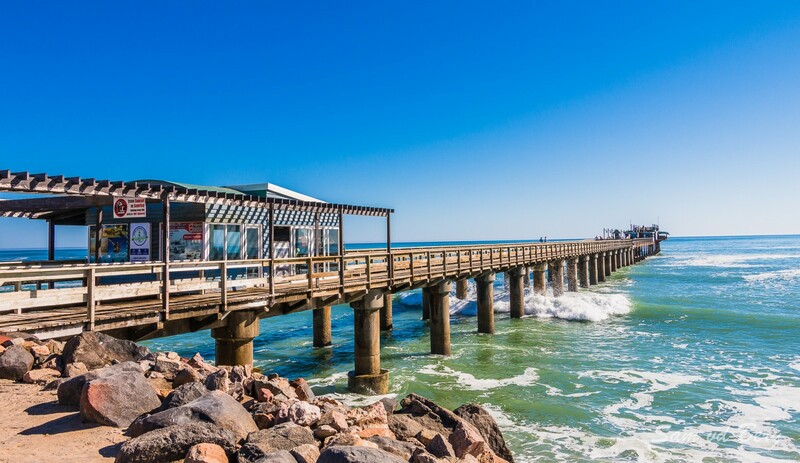 Former mayor of Swakopmund, the late Daniel Kamho instigated the ‘Save the Jetty Fund’ and eventually the renovations were undertaken in a joint venture between Kraatz Marine, Walvis Bay Diving & Bicon Engineering in September 2005. (jetty1905.com) It was reopened in 2006.